Paul Fone Service Details - East Liverpool, Ohio | Dawson Funeral Home, Inc.
Salem, Ohio – Paul E. Fone, 79, of Columbiana passed away Friday, November 9, 2018 at Salem Regional Medical Center. Paul was born February 20, 1939 in East Liverpool a son of the late Paul Harold & Maude Carpenter Fone. Paul was protestant by faith. Preceding Paul in death were his brother Lewis “Sonny” Thompson and sister Lillian Hornbeck. Surviving are three brothers David (Fay) Fone of Columbiana, OH, James (Carol Lee) Fone of East Liverpool and Kenneth Fone of Cheyenne, WY; three sisters Barbara (Doug) Cunningham of Cheyenne, WY, Carol Keyes of Hesperia, CA and Phyllis Fone of West Salem and many nieces and nephews. Friends may visit Monday afternoon at the Dawson Funeral Home where the family will be present from 3 to 5 p.m. Pastor Jan Winnale of the Columbiana Church of the Nazarene will conduct a funeral service Tuesday 10 a.m. at the funeral home. 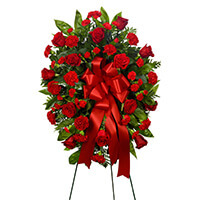 To send flowers to the family of Paul E. Fone, please visit our Heartfelt Sympathies Store.